“If they [Apple] did make the smartphones in the US, it would add somewhere between 20% to 35% more to the final consumer prices of the phones sold to the public,” Tim Bajarin of Creative Strategies told CNN. President Donald Trump seems willing to put 10 percent tariffs on all phones and notebook computers imported from China. “I can make it 10%, and people could stand that very easily,” he said in an interview earlier this week. Even if Trump’s import tax went up to 25 percent, as the president has threatened, moving iPhone assembly to U.S. shores could cost much more. And that cost would continue after a ceasefire in the current trade war. Apple CEO Tim Cook said this spring, “It’s not true that iPhone isn’t built in the United States.” The design of this product happens in the U.S., and many of the components are manufactured here by companies like Corning. These parts are shipped to China where they are combined with components from many other countries, including S. Korea and Japan. 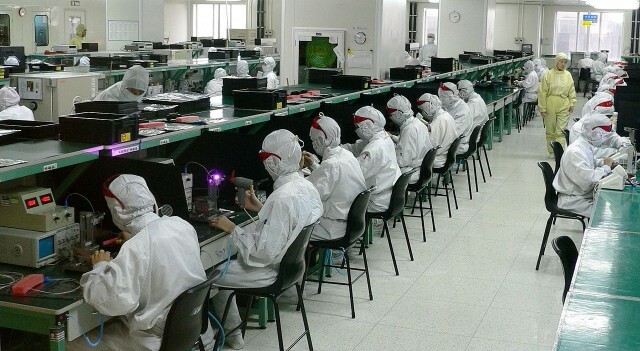 Only iPhone assembly happens in China, and even that’s done by a Taiwanese company. A study found that just a tiny fraction of the price of an iPhone 7 stays in China.